By Leoma & Randy S.
"Very professional and easy to work with. Answered all of my..."
Homeowners in Ham Lake, MN were noticing that the concrete around their home was beginning to sink. After contacting Innovative, the TEAM was able to use PolyLevel Injection to raise the concrete back to its original position. Take a look at the before and after pictures of this sidewalk in Andover, MN. We were able to successfully lift this back into place with our PolyLevel foam injection. More affordable than replacement and we offer a FIVE year warranty. If you have sunken concrete, call today for your free estimate! We occasionally get water in our basement from a low spot in our backyard when the snow melts fast and the ground is still frozen. It only happens in the spring when the ground is still frozen and there's been lots of snow or rain. Everything drains in the one back corner of our house and seeps in. We don't know if it's a landscaping issue or foundation issue. Fill holes front of garage under asphalt and lift up one slab by front door. We have water that comes in along one wall in the basement when it rains. 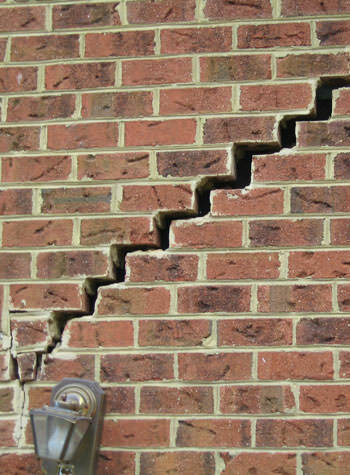 We would like to know the least expensive way to fix this problem. I have a walkway from my driveway to front door that is starting to sink and would like to get it repaired. The sooner the better for estimate 😊. Thank you! I would like to know for sure if the things I'm seeing are real issues. 1 large wall crack, warping around front window frame. Would like free estimate/ evaluation. The floor is not level. Emmit & Denny were both professional and thorough approaching the work performed at our home making their efforts greatly appreciated. Hi Matt, Travis, Sean and all the gang at Innovative Basement!!! It's been how many years since I had you encapsulate my crawlspace? I'm still on the Xcel Energy's list of most efficient list customers at (insert home address here) and it's all been since the encapsulation. No mice, no smell, no wet and my furnace isn't rusting away. I still say it the best investment I've made here!! Plenty of space for clean, dry storage too. Hoping you all have a Merry Christmas and a Great New Year!! Emmit is great in everything. Does most of work. The two man crew that did the work were fantastic. Very nice guys and did a great job. Love the work! 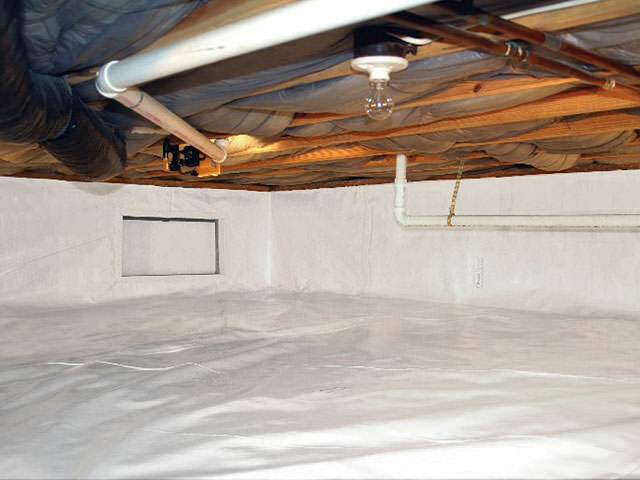 Homeowners in Andover, MN contacted Innovative for help with their crawlspace. They currently had a dirt crawlspace with some plastic covering the area. The TEAM then installed CleanSpace to encapsulate the area. With secluding the home from the soils beneath it, the homeowners will experience a healthier indoor living environment and lower energy bills. Need to backfill a large void that has formed under the expansion joint between concrete garage floor and asphalt drive. Asphalt driveway is sinking/collapsing into void. this is a 4 car wide garage. The front stoop is sinking. Two pieces of concrete on each side of my garage has sync wondering what it would be to cost to lift it and fix it? I need my sidewalk and concrete steps leading up to front door leveled. The walk is 3 slabs totaling about 24 X 5 and 2 steps up to front door. Runs under a stoop and alongside the garage. Front sidewalk has sunken, In addition and worse yet, there is a large void under driveway apron from rodents and water wash-out. Both of these issues need repair. We have a basement that leaks water, the landscape of the yard may also be contributing factor. Would like to have a free evaluation and estimate done on what changes would be necessary to prevent leaking. Water seepage at walls and thru cracks in floor.